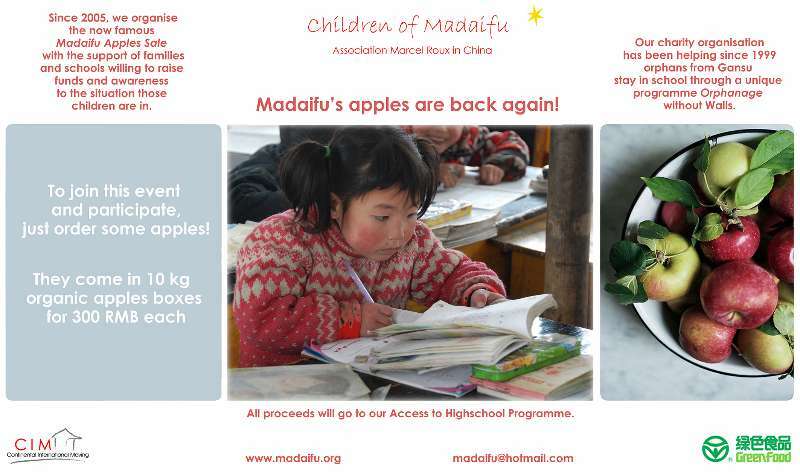 The 2017 apple fundraising just started in Beijing and Shanghai. Please order your organic Fuji apples now! 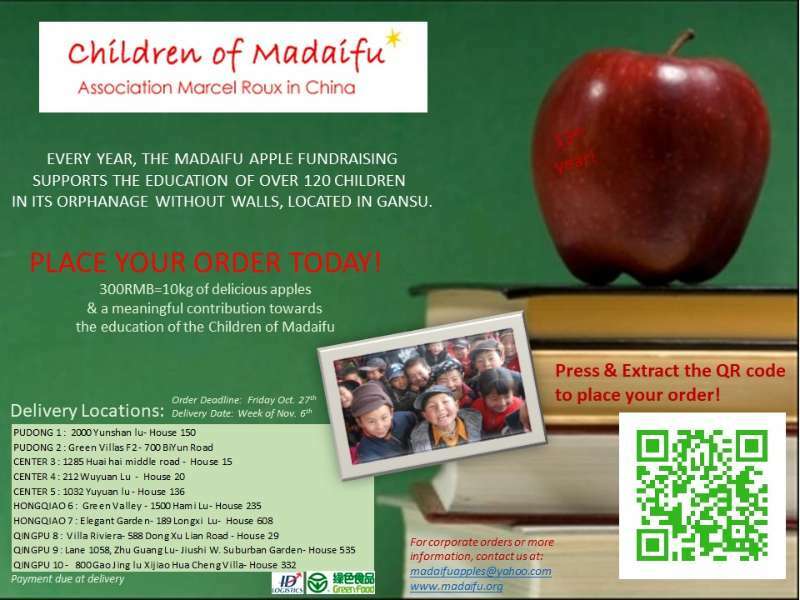 The apple fundraising is a yearly meaningful contribution to the education of the Children of Madaifu in Gansu province. « Paris – Join us on March 2nd for our annual dinner !